Learn more about our funding partners, media partners, and others who are helping spread the message about stormwater pollution prevention. The Respect Our Waters campaign is facilitated by the local nonprofit organization Root-Pike Watershed Initiative Network, Inc. for the Root-Pike Rivers Basin and is supported by a major grant from the Wisconsin Department of Natural Resources as well as partnerships with counties and municipalities all over southeastern Wisconsin. Click HERE for a list of our municipal partners. Our current PSA's and interviews are currently being aired on Channel 18 and My 24 Milwaukee. Look for Sparkles’ training videos on those channels this summer from June through October! What is the Water Drop Alert? 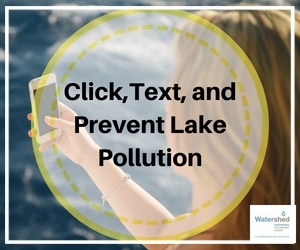 The free Water Drop Alert text-message system asks subscribers to reduce water usage during heavy rain events. This program is an effort at reducing the amount of sewage that enters Lake Michigan in the event of a sewer overflow. Quicker Showers: A 10-minute shower can use as much as 40 gallons of water. Delaying Washing Dishes: A dishwasher uses about 20 gallons of water. Hand washing dishes uses about 40 gallons. Delaying Washing Clothes: Older washing machines will use up to 45 gallons of water per load. Newer models can use between 14 to 25 gallons of water. What is the Mini-Grant Program? The program aims to improve water quality through local, grassroots efforts. Sweet Water’s Mini-Grant Program distributes grants of $1,000 - $5,000 to non-profit community and civic groups for projects or activities that improve water quality, enhance environmental conservation, restore aquatic habitat, or educate people about these issues. How do I apply for mini-grant funding?